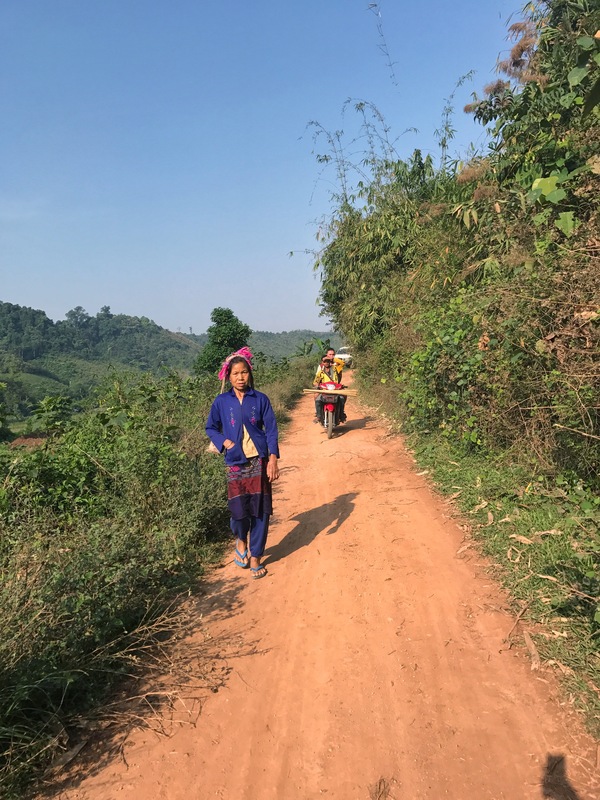 Since almost one week we live in a remote village in Northern Laos. The village is tiny, only 500 people are living here. But the life here is hectic, the settlement looks very alive, all ages are present here. Kids follow us every step, old people starring curiously. 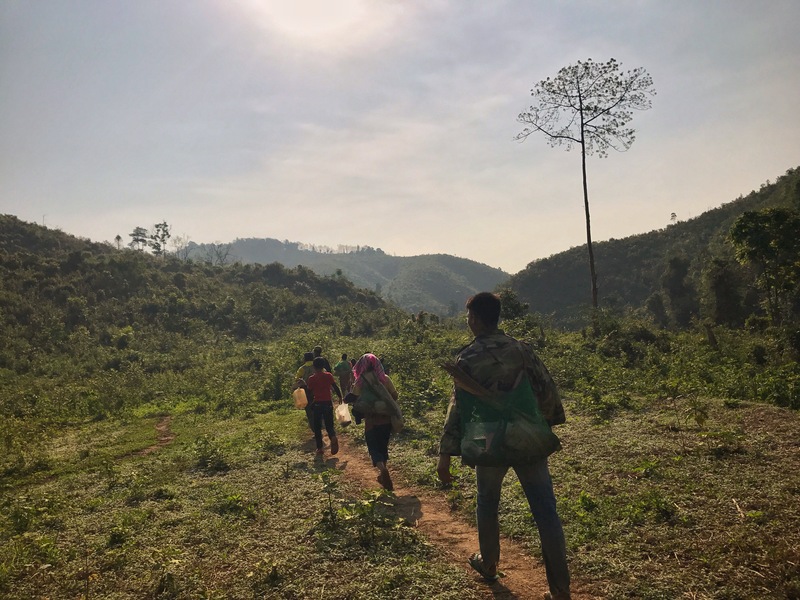 This village is populated by Khmu people, a big ethnic group in Northern Laos.They moved here around 20 years ago, settled down and witnessed the crazy deforestation period as Laos companies and later Chinese were cutting the primary forest for furniture. With the forest, the tigers were gone, also wild elephants and other rare animals. It was sad to see the result and to imagine how it once may looked like. Life here depends fully on the surroundings, the ricefields, the jungle, the weather, the nature. People here are selfdepending. They produce everything necessary for their existence, from bamboo spoons, knifes and knitted bags to bungalows and huts. They live close to the nature, they are in balance with it. All the food we’ve been eating these past days came from the forest. Bamboo, mushrooms and some green leaves. We were “lucky" to be there during the bamboo shoot season. A lot of things here in the forests are eatable, a lot of them are poisonous. “We are not Buddhists or Christians, we believe in spirits." says Tha, the local guide and person who became our friend. It seems spirits populate every inch of the space in Tha’s world, and not only in his. Everyone here of all ages strongly believe in spirits. It is very hard to imagine what exactly they are, the spirits. The picture of them isn’t clear. 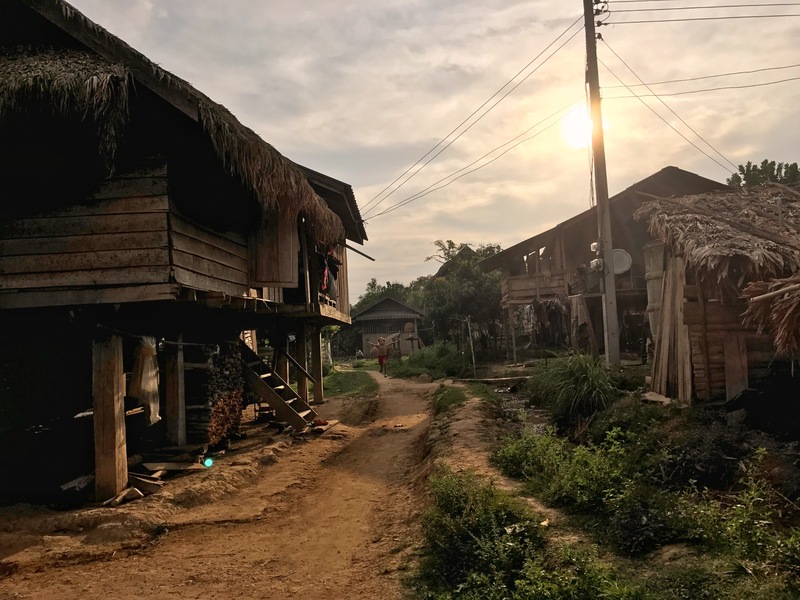 Tha tells us about spirits living in some parts of the forest, where any of the locals would go, some ancient places in the jungle or some abandoned temples. It can be a tall tree, where a spirit lives or a river inhabited by dragon spirits. If you are alone in the jungle, they will talk to you and try to make you one of them. If you are not strong enough to resist or don’t know which of medicine in the forest you have to take to protect yourself from it, you are lost. “If local people die outside of the village by accident we don’t bring them back. We bury them there." Tha says. He tells us about a guy who drown in a river last year and after “he was dead already, he became a spirit". Another guy was accidentally shot dead by hunters after being mistaken for a buffalo. He also became a spirit. When it is so, when people die outside, all the village has to follow a strict mourning period of three days where you are not allowed to leave the village. People have to find a special medicine, a root, that you have to place all along the village line. To circle it, to protect the people from spirits coming to the village. Once in three years they sacrifice a buffalo, some pigs and chickens to attend the spirits. They give them to eat, to make the spirit not hungry enough to get the local people. Another night I woke up from loud music middle in the night and I was really pissed off that drunk people. In the morning we met Tha for breakfast and while he was cooking he told us about yesterday night and about the host of this party, who also became a spirit for some time. Looked like they have been drinking so hard that night, that this guy passed out for short and was a spirit for a while. They sacrificed a chicken to satisfy the spirits thirst and fulfilled a ritual to banish the spirit and free the men. “Who are you?" – they said to the spirit “Name yourself! Why are you here?! You must leave!" It sounded so bizarre and dramatic, that you could hardly believe this conversation. Later that morning I met that guy and the hangover was literally written in his face. Another day Tha told us about his dream, when 3 spirits visited him in his sleep. With long tongues and black, wideopened eyes they came for him, some of the local people, and his dead father appeared in his dream to protect him from the spirits. “Why are you here?" his father said in his dream. “You must leave!" 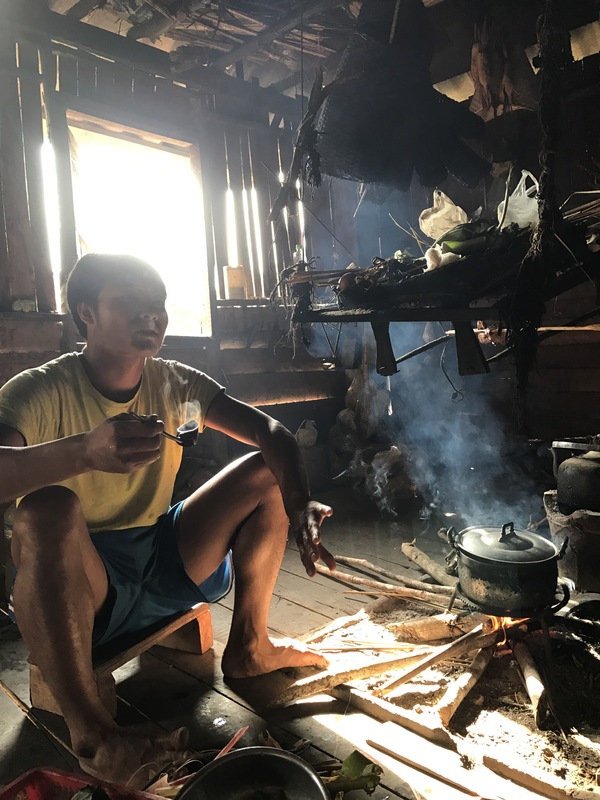 We’ve been talking evenings through, Tha told us a lot more of these stories, while we’ve been cooking and eating dinner in his small hut full of smoke and surrealistic world of Khmus trust in spirits, dragons, shamans, flying people and other strange things. After dinner one night we went for a walk to the ricefields not far away from the village. Moonless, the sky was glowing and full of stars. And down all over the ricefields in the darkness billions of fireflies were flying around. At this point I was little bit jealous of these people living here in this magical world full of spirits, stars and fireflies.